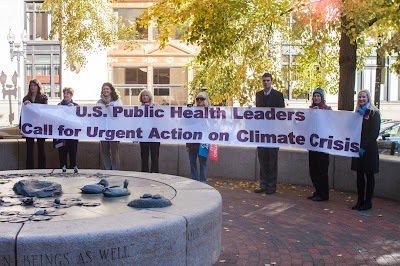 This past Monday, APHA members jumped into action again. Members of the Climate and Health Topic Committee, a group of APHA's Environment Section, let their public health voices be heard at a special listening session hosted by the U.S. Environmental Protection Agency at their Boston-based New England offices. The session was held to gather public input on the agency's upcoming carbon pollution standards for power plants, which are the largest single source of carbon pollution in the nation. If you'd like to submit comments to EPA too, click here or email carbonpollutioninput@epa.gov.